Burn out. Exhaustion. Depression. Stagnation. The demands of ministry take a toll on even the most resourceful and intentional minister. No one knows this better than Rev. Dr. Debora Jackson, President of the Ministers Council for American Baptist Churches USA. 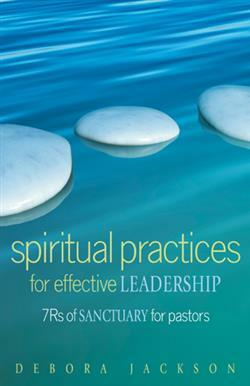 In this new leadership resource, discover the spiritual art of practicing sanctuarya process that ushers pastors into retreat and release, in order to review and reconnect, before reflecting and recalibrating, all with the goal of returning to ministry as more effective leaders. Practical and inspirational, this book is grounded in Scripture and solid research. Debora Jackson, MDiv, DMin, is the Director of Lifelong Learning at Yale Divinity School and former Executive Director of the Ministers Council, ABCUSA. Dr. Jackson also served as the Senior Pastor of the First Baptist Church in Needham, MA. Having previously held numerous corporate leadership positions, she served as a Chief Operating and Chief Information Officer and an independent consultant.